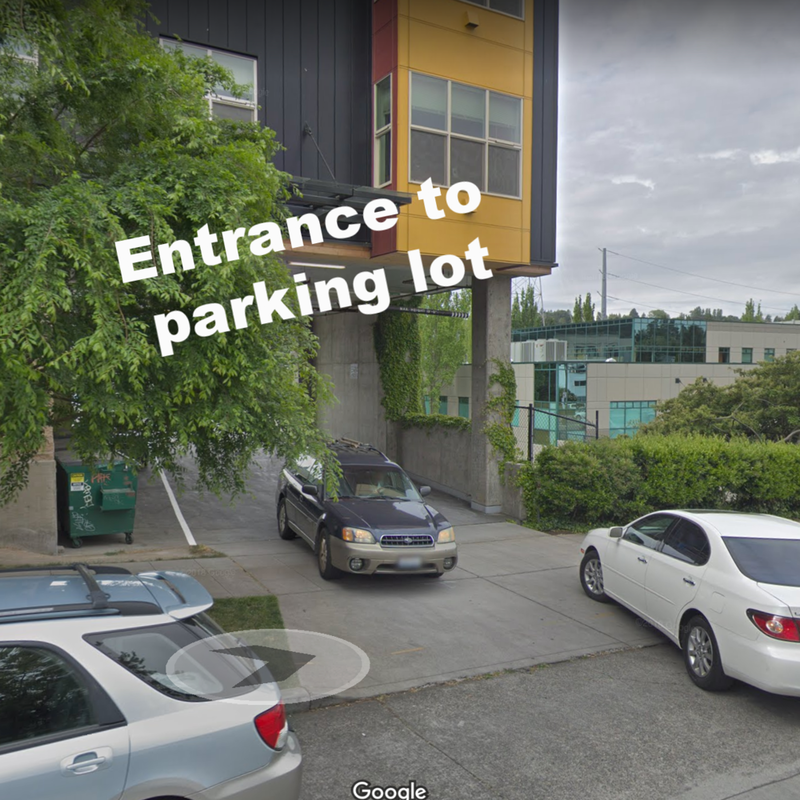 There is free parking if you enter the building’s parking lot from North 35th St. It is a small lot, so if you’re hoping to secure a spot in this lot, you might need to allow extra time. Otherwise, there is plenty of 2 hour paid parking and some (limited) free street parking. The main building entrance is on Evanston Ave N… 3417 Evanston Ave North. 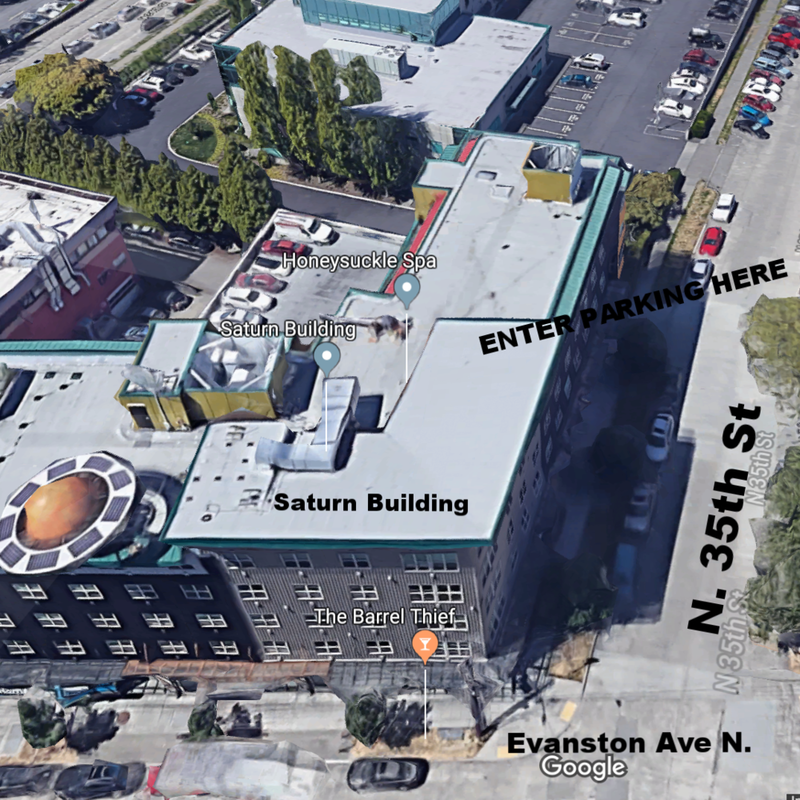 There is no sign designating it as The Saturn Building - with the exception of the large saturn on the roof. You won’t need to use the security box during business hours. If for some reason the door is locked at your appointment time text the clinic (206.485.4364) that the entrance is locked and we will buzz you in. 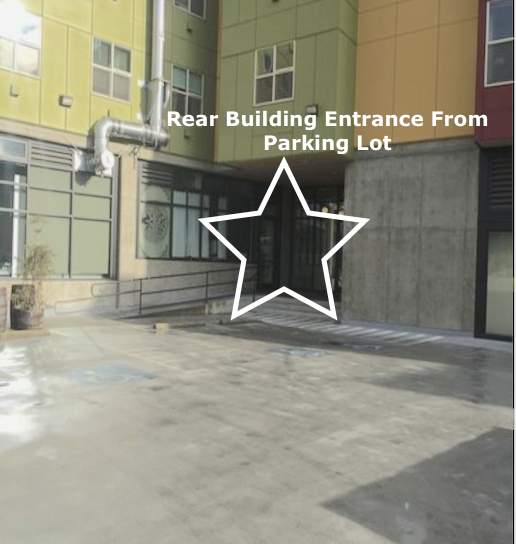 There is no security box on door from parking lot, so if you park “after hours”, you’ll need to walk around to the front of the building to get buzzed in. once inside, take stairs or elevator to 3rd floor. we’re suite 318.